The Mountain Edge Grill is a quaint restaurant in the heart of Gatlinburg that has been family owned and operated since 1998. Diners can enjoy a wide variety of tasty menu items including salads, soups, sandwiches and hamburgers. In addition, the Mountain Edge Grill serves up house specialties such as white chicken chili soup and a buffalo burger platter. The restaurant features a ski lodge themed setting and several multi screen televisions so that diners can catch all of the latest sports events. 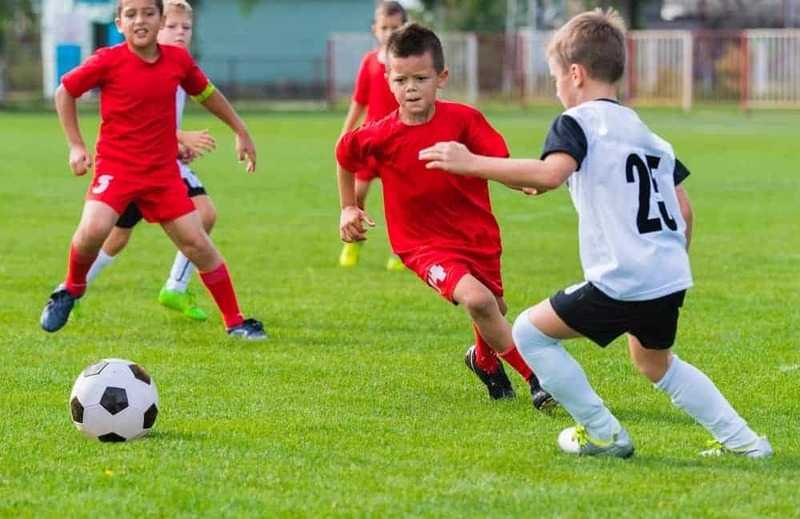 Younger kids who are participating in a tournament at Rocky Top Sports World can enjoy ordering off a special children’s menu. The Mountain Edge Grill welcomes groups, so feel free to bring the entire team over for lunch! The restaurant is located at 620 Parkway next to the Guinness World of Records Museum. For a complete schedule of operating hours, contact the Mountain Edge Grill at 865-436-0013. The Crystelle Creek Restaurant and Grill is a family restaurant located by the creek on Highway 321 just outside of Gatlinburg. The restaurant is situated on beautiful landscaped grounds surrounded by a creek, a Coi Pond, and the Great Smoky Mountain National Park. In addition, water cascades off of the roof directly over large picturesque windows. As if this is not appealing enough, the huge menu offers something for everyone! The Crystelle Creek Restaurant and Grill serves up some of the region’s best steaks, seafood, ribs, chicken and signature Italian dishes. In addition, they offer delicious appetizers, salads, soups, burgers, sandwiches and a tempting selection of homemade desserts. The Crystelle Creek Restaurant and Grill is open for lunch on Fridays, Saturdays and Sundays starting at noon. The restaurant is delighted to host groups, and they recommend reservations for parties of seven or more by calling 865-430-1551. Another one of the recommended Gatlinburg restaurants near Rocky Top Sports World is Bubba Gump Shrimp Co., named after the fictional company from the 1994 blockbuster movie Forrest Gump. This delightful restaurant is naturally a destination for shrimp and seafood lovers, as the menu features just about every type of shrimp dish imaginable! Popular choices include the Best Ever Popcorn Shrimp appetizer, the Shrimp Po’ Boy Sandwich, and Mama Blue’s Southern Charmed Fried Shrimp. Of course, non-seafood lovers can join in on the fun with a great selection of salads, sandwiches, and burgers. Everyone will appreciate the dessert menu at Bubba Gump Shrimp Co., which features the Alabama Brownie, Key Lime Pie, Mama’s Bread Pudding, and a Chocolate Chip Cookie Sundae. The restaurant, which starts serving lunch daily at 11 a.m., is casual and can easily accommodate groups of all sizes. Bubba Gump Shrimp Co. is located at 900 Parkway by traffic light #8 in Gatlinburg and is right next to the Gatlinburg Convention Center. For even more great dining options close to our campus, check out out the restaurants listed on the Rocky Top Sports World Sponsors page! This entry was posted in Our Gatlinburg Sports Complex on December 29, 2014 by Jason Fishman.